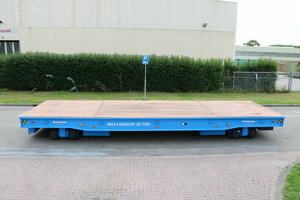 The new generation of 4-way multi directional Buiscar Industrial Trailers up to 140 tons capacity. 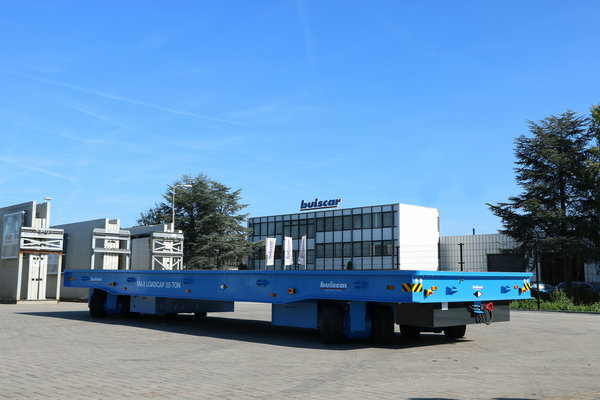 Buiscar Cargo Solutions BV in Vianen the Netherlands introduce their new industrial trailer with Buiscar Intelligent Steering Solutions (BISS). The operator can drive, steer and turn 360 degree safely in any direction required. 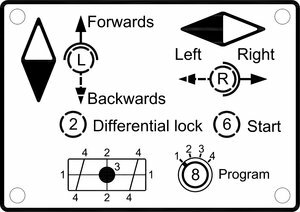 Longitudinal, transverse, central point and diagonal directional. 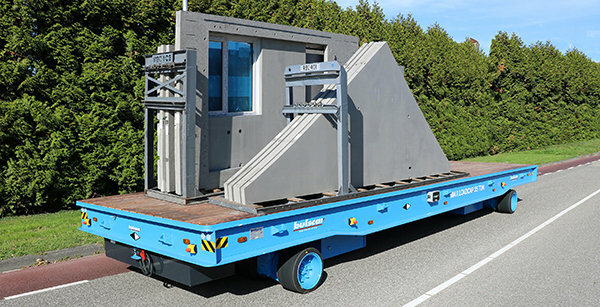 These Buiscar industrial trailers are engineered with modular construction, wheel-sets up to 20 tons each, separate power units, battery packs and control boxes. 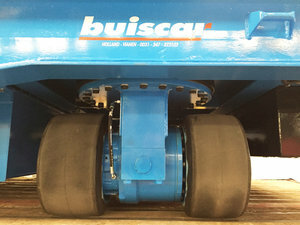 Buiscar engineering can design self-propelled trailers to most of the requirements. 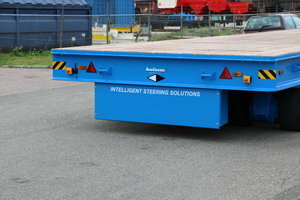 Any capacity, dimensions and undercarriage can be easily adapted. Hydraulic or electric powered can be chosen. Both with their own benefits. Hydraulic powered system for a short cycle and heavy duty application. The variable pump proceed the hydraulic motors with the right pressure and flow. Or the energy-efficient AC electric drive motor power units. Both systems controlled by the Buiscar drive control. 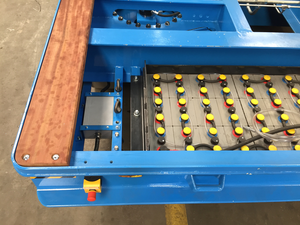 The separate control unit is IP65 insulation and covered with a double door for protection of impact. 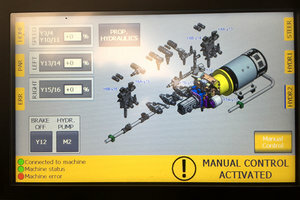 The Siemens industrial PLC module will calculate the steering angle and command the steering program. All systems are constantly monitored by the BISS control unit. On board diagnostic, error codes will help to minimise down time. 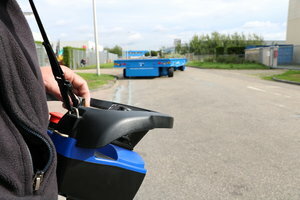 The display (option) informs the operator of the steering angel, direction and condition of the trailer and with an upgrade of on-line remote access, the service engineer can log-in to the system and useful information will be send to the technical management or service supplier. The RF Remote control is easy to understand. 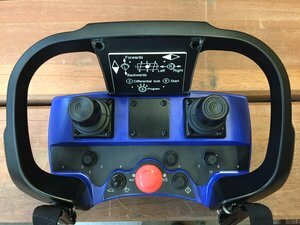 All drive, steering, steering program and lifting commands will be controlled by the user-friendly control panel. The frequency can be adjusted to the environment. The weight is 100% equal distributed over all the wheels by the oscillating axles. With this system the wheels will follow the surface of uneven floor conditions and small slopes smoothly. The platform is fixed or can be upgraded to a lifting platform and closed with several structures like, steel, PVC or wood. A coil frame or a special support frame can be adapted. With this innovation of Intelligent steering solutions, Buiscar provides an agile, reliable and safe Industrial cargo solution.